The Michigan Supreme Court says it will consider the legality of a city's zoning ordinance that prohibits the use, manufacture or cultivation of medical marijuana. The court issued an order Wednesday agreeing to hear an appeal filed by the city of Wyoming in the Grand Rapids area. Justices want to know if the zoning ordinance is superseded by Michigan's 2008 voter-approved medical marijuana law. Significantly, the court also plans to consider if the state law is pre-empted by a federal law that makes marijuana use illegal. The Grand Rapids suburb of Wyoming will appeal a judge’s ruling that overturned its ban of medical marijuana. Wyoming is one of a handful of Michigan cities with an outright medical marijuanna ban. Others have instituted zoning restrictions. Wyoming City Manager Curtis Holt says city council worries that medical marijuana will increase crime and cause confusion for police. Michigan’s Court of Appeals has struck down a city ordinance banning medical marijuana. Supporters of the voter approved medical marijuana law are calling it a huge victory. The Grand Rapids suburb of Wyoming is one of several Michigan cities or townships that have restricted the medical marijuana act voters passed in 2008. Wyoming resident and medical marijuana patient John Ter Beek sued the city in 2010. Shortly after the ACLU joined the case. A Grand Rapids suburb will consider a ban on the state’s new medical marijuana law Monday night. Their decision comes days after the ACLU announced they’re taking three Detroit suburbs to court over similar bans. Wyoming City Council will consider medical marijuana regulations that are similar to rules passed by Livonia, Bloomfield Hills and Birmingham. Those cities are being sued by the ACLU on behalf of a medical marijuana patient with multiple sclerosis. 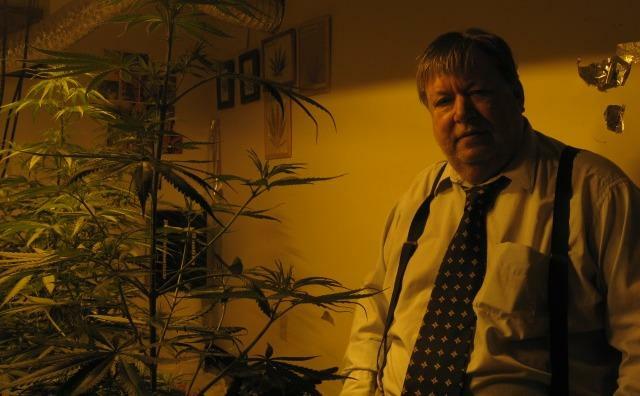 Attorney and medical marijuana patient John Ter Beek lives in Wyoming. He is also considering legal action if city council adopts the rules. He has been in talks with the ACLU about taking up his case. Officials with the ACLU confirm that but say it’s too soon to say if they will. Wyoming’s City Council unanimously favored an early version of the ban last month. They have safety concerns when it comes to distributing medical marijuana. Under the new rules, the city would follow federal law over state laws about marijuana. Mayor Jack Poll says he expects final approval despite pending court cases.